Theatrical equipment, including rigging systems, lighting control systems and curtains, are a substantial investment. Protect your investment – extend the life of your equipment and insure the safety of your crew, performers and audience – by performing periodic inspections, routine maintenance and necessary repairs. Theatre systems are dynamic, and like other dynamic systems including automobiles, computer networks, and elevators, rigging and dimming systems require a regular schedule of service. 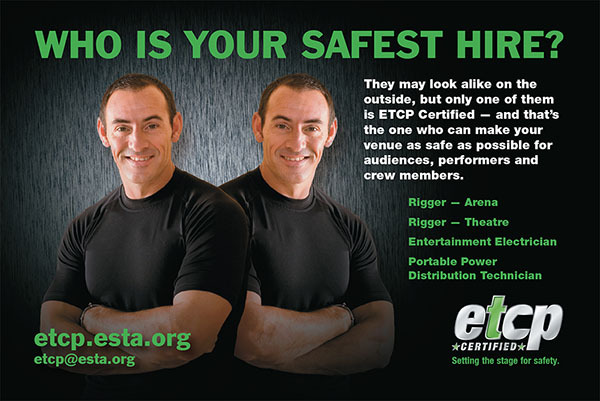 Limelight holds factory certification from most major dimming and control manufacturers including ETC (Electronic Theatre Controls), Strand and Genlyte Control Systems for Entertainment Technology. In addition, Limelight's ETCP Certified Electricians service and repair older, legacy dimming systems including manual single and multiple preset boards. We even service older autotransformer systems. A scheduled cleaning, testing and tuning can help insure that rehearsals and performances are not compromised by “sudden” failures of electronic and electrical components. Limelight's ETCP Certified Riggers provide thorough inspections and reports on existing facilities, can provide repairs to existing systems, replace/upgrade parts of systems with modern/upgraded technology, develop operation and maintenance manuals for legacy systems, etc. A regular schedule of cleaning, minor repairs, and re-treating with flame retardant can dramatically extend the useful life of theatre soft goods. Limelight can also fabricate replacement pieces to match existing inventories (for example replacing a single leg set that has been damaged beyond repair).